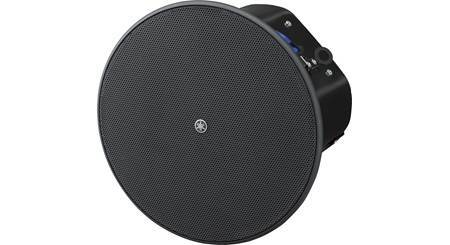 This is a powerful in-ceiling speaker with versatile mounting options to suit your space. By buying this product you'll earn up to 326 Rewards points. Don't your customers deserve Bose®? Bose products — from headphones to home theater systems — have been customer-pleasing best-sellers for us for decades, so we're happy to be able to extend that same experience to business owners. The FreeSpace® DS 100F speaker offers powerful performance, thanks to a 5-1/4" woofer and 2-1/4" Twiddler® driver. A convenient thumb wheel transformer tap lets you power multiple speakers with a single amplifier. Build a customizable system to fill your entire restaurant, gym, office, or similar place of business with appropriate foreground or background music and clear, audible announcements. 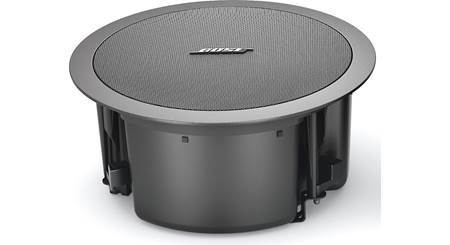 Overview: The Bose FreeSpace DS 100F is a high-performance 70/100 volt loudspeaker that can be either ceiling or pendant mounted (indoor only) and has been designed for foreground music and speech reproduction in a wide range of installed applications. 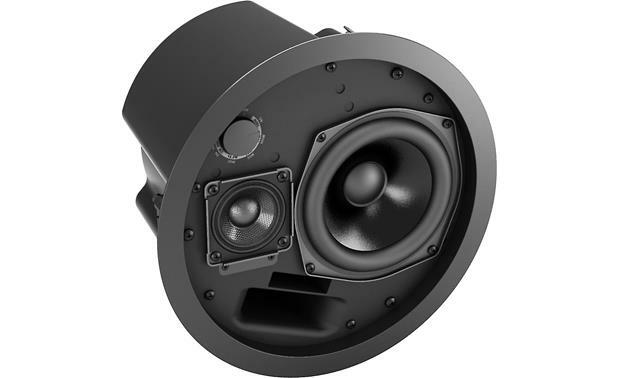 It features a 5.25" woofer and 2.25" tweeter, mounted in a ported enclosure, that can deliver high output with 160˚ of conical coverage from ceilings up to 32 feet high. 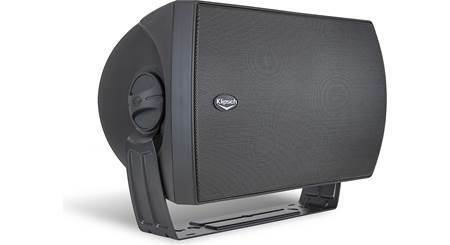 The DS 100F's front baffle is made of durable polypropylene with a powder-coated steel grill, housed in a powder-coated steel backcan enclosure. Connections: The rear of the DS 100F has three set-screw terminals for speaker wire connections that can accommodate wire from 18 AWG to 14 AWG. 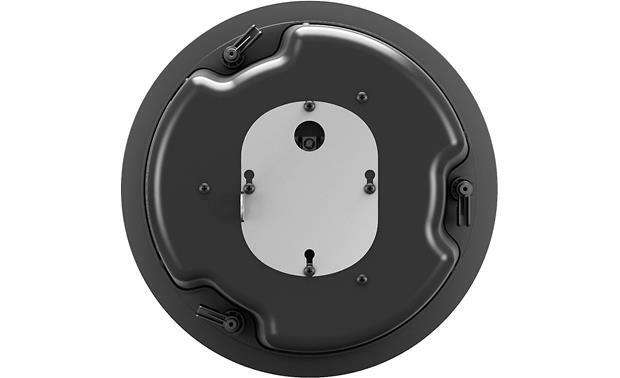 A screw-down protective cover plate is provided that also includes a ring for an optional safety cable attachment. Mounting: The DS 100F includes three integrated quick-install mounting arms that swing outward when tightened, supporting the speaker against the back of the mounting surface. The speaker's metal enclosure also has three mounting points on the backside that can accommodate an optional pendant mount kit (sold separately). Searches related to the Bose® FreeSpace® DS 100F 5-1/4" commercial in-ceiling speaker.